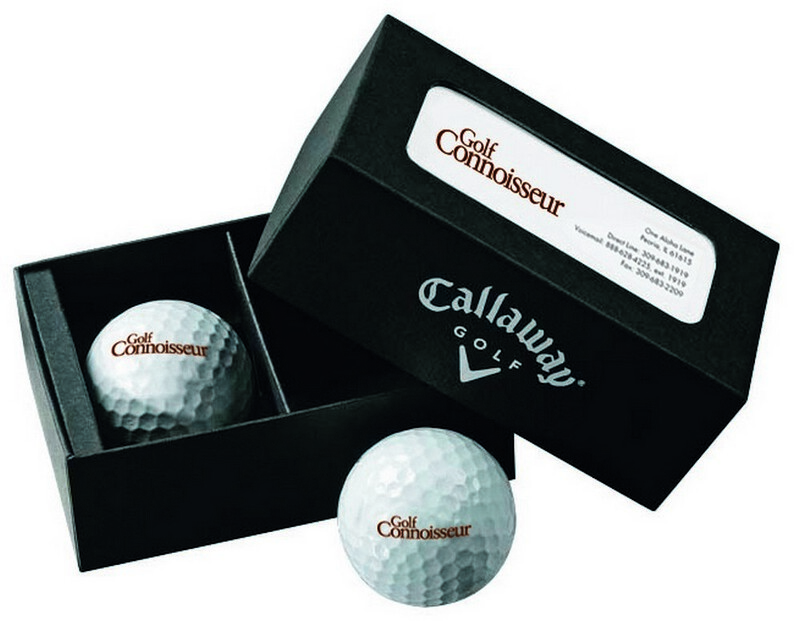 Spread your marketing message effectively with the Callaway 2-Ball Business Card Box! This promotional product offers you a great way to hand out your business cards or promotion cards to clients at the office or events. Made using high quality linen, this box features card tabs to insert your cards and displays two golf balls with custom imprint. You can use the four-color process to customize the product to your brand with your company logo or name. Make sure that your brand does not go unnoticed with the excellent choice for a promotional giveaway.